By utilizing the most advanced technology available, the doctors at Smile Creations ensure that each patient achieves optimal results. Some of the state of the art technology we have implemented at Smile Creations includes digital x-rays, intra-oral digital photography, Waterlase MD, laser cavity detection (Diagnodent), and oral cancer screening. Diagnodent is a powerful new diode laser used for the early detection and diagnosis of tooth decay sometimes missed by traditional methods. 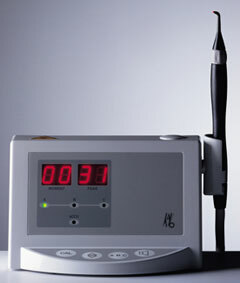 This non-invasive device focuses a laser beam down into the tooth and that light is reflected back. If there is decay the wavelength of the reflected light changes. 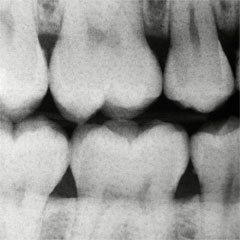 The Diagnodent displays these changes and not only does it identify the area of decay, but it also lets the doctor know the extent of the enamel damage. Early detection allows for a much more conservative treatment. Bring a DVD movie from your video library or watch many cable movies and shows through our virtual reality glasses during dental procedures. Your comfort is most important to us! The term “Cutting Edge Technology” is thrown around very loosely in dentistry. The plain truth is, the cutting edge in dentistry is a laser. Smile Creations is pleased to announce the addition of the Waterlase MD. laser to its growing list of cutting edge technologies. The Waterlase system uses laser-energized water to accomplish the work of traditional drills, giving the doctors at Smile Creations the ability to perform a wide range of hard and soft-tissue procedures quickly and painlessly. 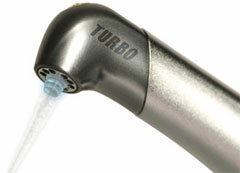 This system produces no heat or vibration in the mouth; unlike traditional drills, it removes decay quietly and gently. We are proud to bring this advanced technology to our patients. 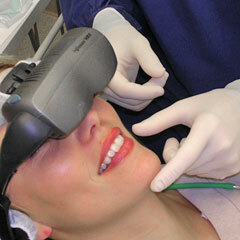 Smile Creations would love to show you how the Waterlase MD laser can make your dental experience truly pain-free. Contact Smile Creations today to discover for yourself the difference that cutting edge technology can make. Oral cancer is one of the most curable diseases when it is detected early. Early detection of cancer or pre-cancerous tissue can minimize or eliminate the potentially disfiguring effects of oral cancer and even save your life. ♦ Viral infections such as HPV 16/18. ♦ History of white and red patches on the oral tissue. ♦ Long-term exposure to the sun (lip cancer). ♦ According to the American Dental Association (ADA), over 25% of oral cancers occur in the people who do not smoke and have no other risk factors. Regular dental check-ups and cleanings, including an examination of the entire mouth, are essential in the early detection of cancerous and pre-cancerous conditions.Your dentist has the skills and tools to ensure that early signs of cancer and pre-cancerous conditions are identified, you may not be able to see small spot or sore yourself.If you see something that doesn't look right or has not been there before, contact your dentist without delay.